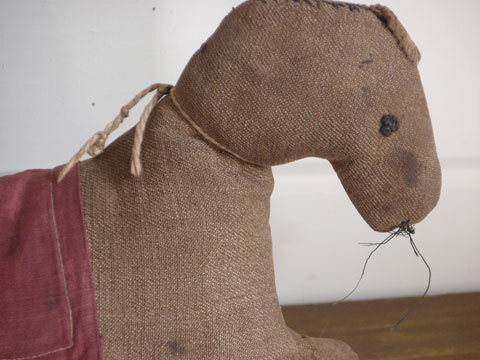 I was thrilled when I found this quirky and charming equine! 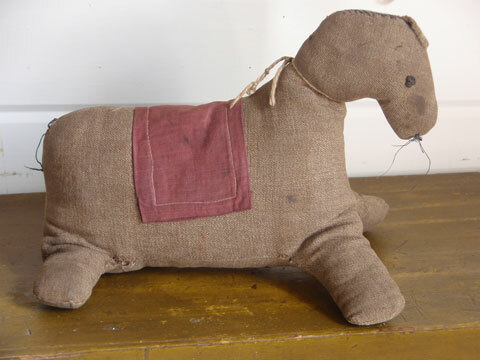 Fashioned out of a heavy cotton twill and measuring 9 inches from the tip of his nose and standing 7 inches tall, he is stuffed with rags. He is both hand and machine sewn. 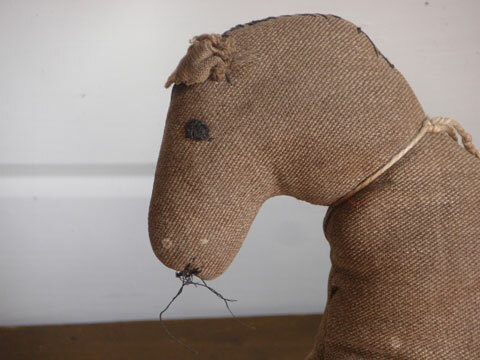 His eyes and mouth are sewn out of a heavy cotton floss, as was his mane and tail of which there are but remnants. 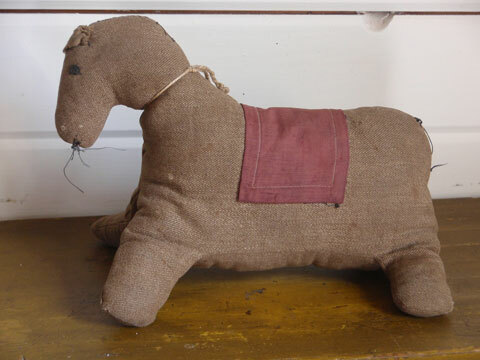 He’s got only one ear – evidence of being a beloved and cherished plaything long ago. He dates to the late 19th C and was found in Lancaster County, PA.
I’m just not finding good early Mennonite or Amish animals any more. Here’s your chance to add one to your collection.